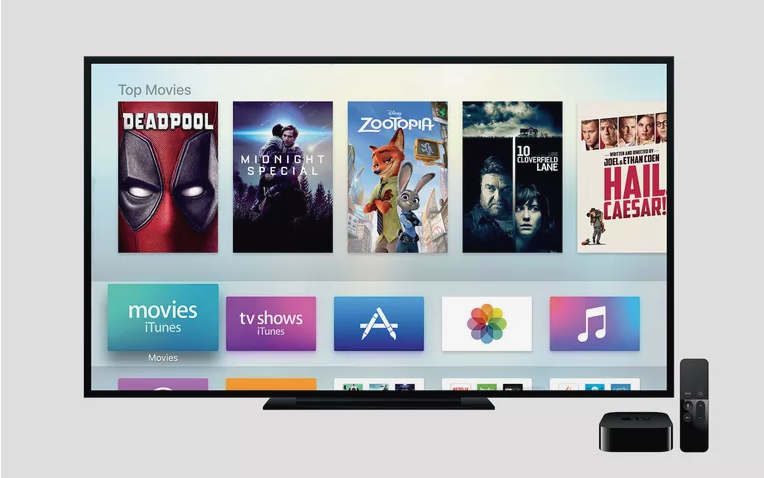 If you are the regular user of Apple TV who already know how to download apps from App Store as well as uses your device to access all types of video content, then it might possible that you may suffering from Home Screen confusion. If you have installed huge number of Apple TV apps on your System and you need to scroll down fractionally down the Home Screen. It helps to find apps which you have installed or needed. If you already know the name of apps which you want to use, you can ask “Siri” to push it for you. It is easy to learn how to more and delete apps as well as how to organize them into directories on Apple TV with the help of remote. This article helps you in managing apps or how to Manage Apps on Apple TV. Please read this article carefully. How to move apps around (left, right, bottom and up)? You have noticed that when you download apps on your Apple TV appears at bottom the home screen or just below app which you downloaded in last. In those cases, if you want to find the apps, then you use scroll around (up & down) over the place on page. But, you might want the apps on top of the Home screen which are most used by you. To move apps on the location which you want, then follow the steps given below. Step 3: If you are using Siri remote or alternative that is not equipped with touch surface, then you should simply select the app and hold down the select button until the apps begins to move. Step 4: Now, you can move the selected app by swiping left, right, up or down on the surface or by using directional key (arrow key) on alternative remote. Step 5: Once the app has been move is required position, then you need to press on the touch surface or release the selection from app. Step 6: If you want move another apps, then follow step 1 to 5 carefully. How to delete apps from Apple TV which you want? The memory or amount of space is limited on Apple TV. So, it is your responsibility to constantly review the apps which you have installed in your System to make sure that you still want them. You should delete unused apps to keep safe space on your Apple TV. To delete apps from System, you should follow the steps given below. Step 2: Then choose the delete in the menu which appears. How to create folder and use folder on Apple TV? If you have huge collection of games, videos and apps on your Apple TV, then you need to put them all inside the folder which has same category. Means all the games should be saved in name of “Games” folders. To create folder on Apple TV, you should follow the steps given below. Step 1: At first, you need to follow the instruction how to move apps around as describe above. Step 2: you just need to “drop” the selected apps and moving an app on another similar app which create folder. Step 3: You can rename the folder and two apps will then be tucked away inside of folder. Step 4: Now, you can add other similar apps in same folder which makes easy to find that apps you want.